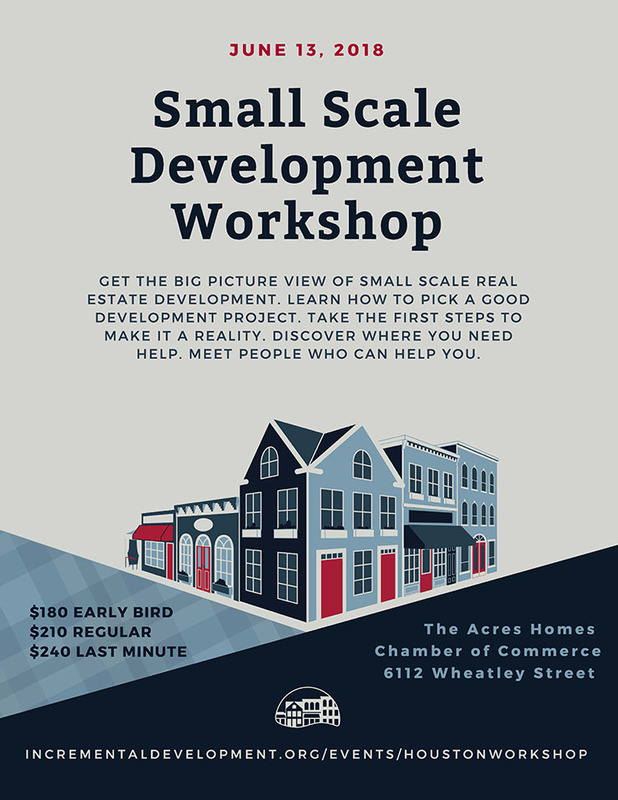 Get the big picture view of small scale real estate development. 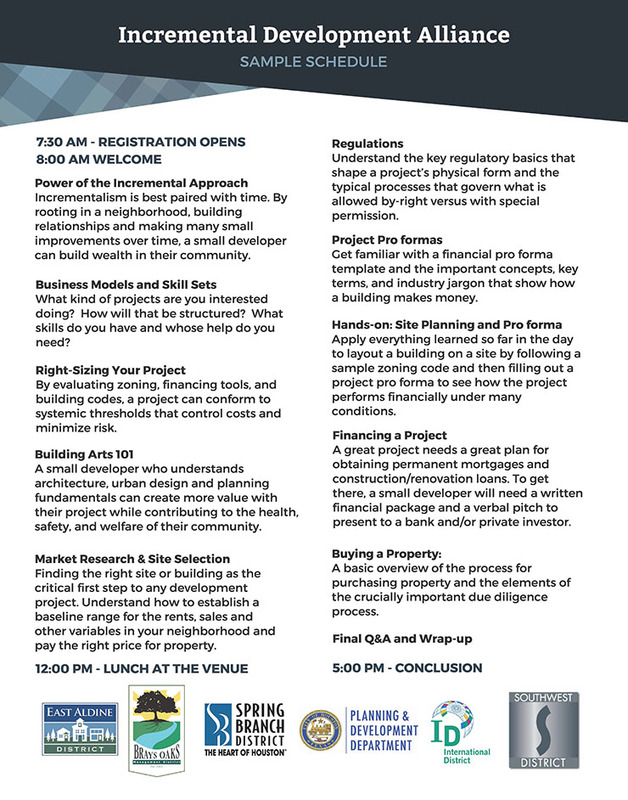 Learn how to pick a good development project. Take the first steps to make it a reality. Discover where you need help. Meet people who can help you.